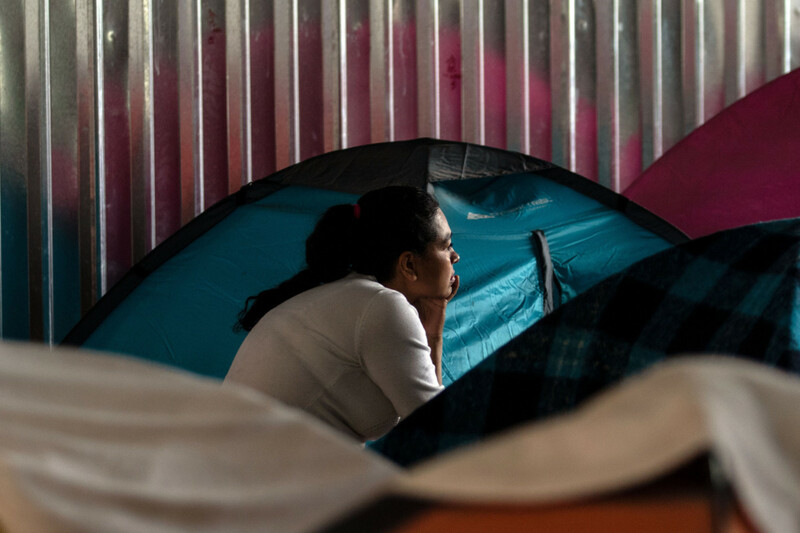 A migrant woman rests at her tent at Juventud 2000 migrant shelter in Tijuana on June 20th, 2018. 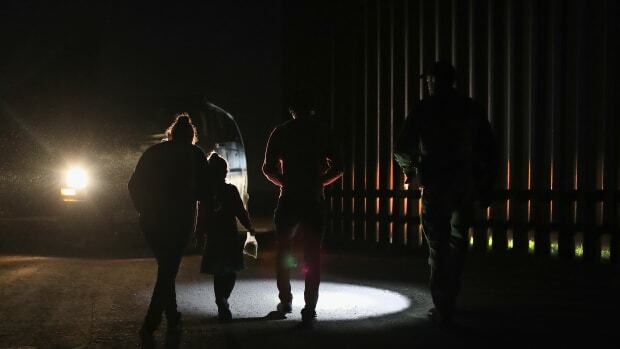 President Donald Trump&apos;s executive order reversing his administration&apos;s practice of separating immigrant parents and children actually worsens an ongoing crisis at the United States&apos; borders, analysts warn. 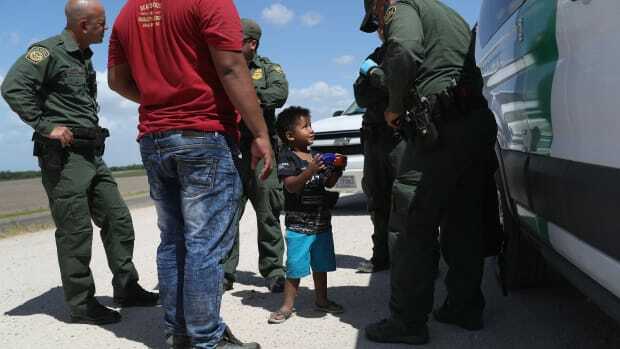 The policy is the latest in several recent decisions by the White House that effectively mean more children will be detained for longer, in violation of a Supreme Court ruling demanding their prompt release from custody. 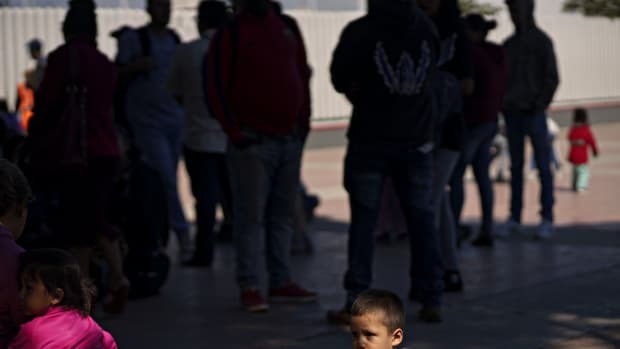 "In a crisis that he and the Republican Party created, today&apos;s directive worsens a horrific situation for immigrant families everywhere," Angelica Salas, director of the Coalition for Humane Immigrant Rights, writes in an email to Pacific Standard. As far as Salas and other immigrant rights advocates are concerned, Trump&apos;s order offers no sign of humanitarian reprieve. "We reject the further criminalization of immigrants," Salas writes. "We reject the unearthing of family concentration camps. We reject the insanity of ignoring the rights of children and the flaunting of Flores v. Reno." Salas refers to a 1993 Supreme Court case that ruled that federal immigration authorities should expedite the release of minors in their custody. The executive order signed Wednesday suggests that Attorney General Jeff Sessions "modify" Flores v. Reno—a request that left legal experts scratching their heads. 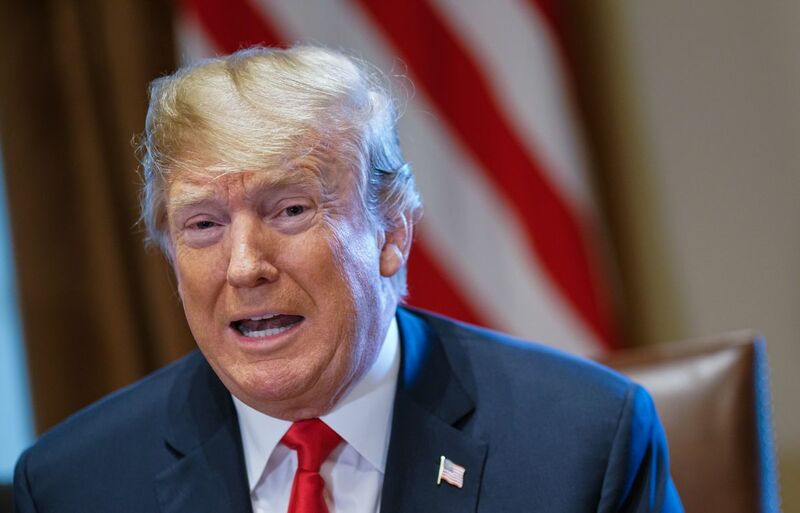 Trump&apos;s statement on the executive order "was very vague, but he does ask the attorney general to seek a modification of the settlement of the agreement," says Richard Boswell, a law professor at the University of California–Hastings specializing in immigration law. "That is a difficult challenge because that was attempted and failed. You can&apos;t get out of an agreement just because you don&apos;t like it." Other legal analysts were outraged. 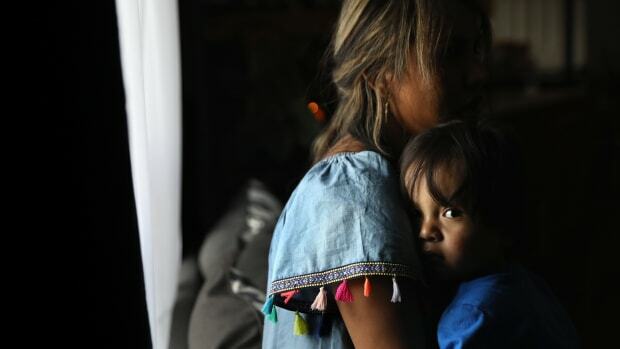 "The detention of families still means we are detaining children—which is outrageous—and ignores the reality that many of the families are seeking humanitarian relief in the form of asylum, and have not been determined to be a danger to the community or flight risk," says Jean Reisz, a University of Southern California law professor and supervising attorney at the university&apos;s immigration clinic. "In the past, families have been granted humanitarian parole into the U.S. after an immigration official determines they have a credible fear of persecution. Zero tolerance and mass-detention is a political tool to deter illegal immigration when illegal immigration is already at an all-time low." Reisz also noted that Flores did not stop all detention of children and that families were detained together under the Obama administration, but that Wednesday&apos;s executive order appeared to mandate family incarcerations "on a much bigger scale." What is clear is that, by modifying the Supreme Court ruling, the government would effectively be mandating the prolonged detention of children in its custody. The Trump administration&apos;s fumbling on a burgeoning immigrant rights crisis threatens to fan the flames of popular opposition to its treatment of immigrant children. Immigration rights advocates were up in arms. "Trump&apos;s new executive order does nothing to solve the inhumane treatment of families on the border. He still is putting children in jails," reads a statement from immigrant rights advocacy group coalition Value Our Families. "Trump is only covering up the mess he made because he came under political pressure. Families belong in communities, not cages. Trump must end the cruel mistreatment and disgrace in our country." President Donald Trump speaks during a meeting with Republican members of Congress and Cabinet members in the Cabinet Room of the White House on June 20th, 2018. What&apos;s more, Wednesday&apos;s decision is not the administration&apos;s first attempt to prolong its existing detention of immigrant children. Earlier this month, Stephen Kang, detention attorney with the American Civil Liberties Union Immigrants&apos; Rights Project, told Pacific Standard that a Department of Homeland Security rule change would enable it to review the immigration status of potential sponsors of unaccompanied minors who enter the U.S. without papers—and to use that information to deport them. The rule change would make it less likely for the unaccompanied minors&apos; relatives in the U.S.—many of whom are undocumented—to come forward to adopt them, Kang said. The result would be more unaccompanied child migrants languishing in government custody. 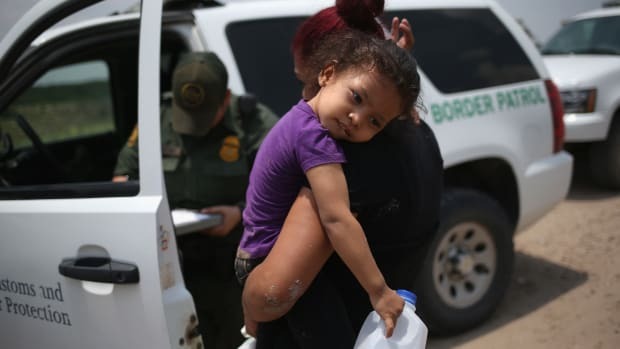 Between that change and the executive order Wednesday, it seems the Trump administration is not directing efforts toward the human treatment of immigrant children, but rather compounding existing policies mandating their incarceration while purporting to calm public anger over their abuse.